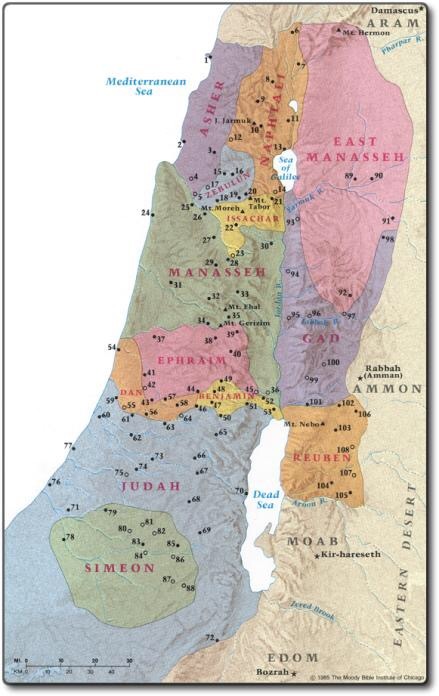 O (Observation): The Hebrew people are approaching the Promised Land for the first time. They send one representative from each tribe to scope out the land to get a look at its inhabitants, the land itself, and to bring back some fruit of the land. The land – beautiful. The fruit – wholesome. The people – scary! The spies that scoped out the territory of the land promised to them by God is beautiful and grandiose…but it is also inhabited by some scary people. How could they drive out these people from the land? So the spies tell of the land, but have severe doubts about their ability to claim the land for themselves. Caleb speaks up to say that they can take the land. The people are left with conflicting sentiments about their ability to enter the Promised Land. My Promsied Land is a place where people follow me for what I teach and preach…a place where I’m smart enough to not have to be corrected and wise enough to help the congregation I serve to a major transformation. Now…notice what’s missing? God. Jesus. The Holy Spirit. These things I mention are all about me…even the bit about the church I serve. All of these statements center on what I can do and does not once reflect what God might want for me…where God might be leading me…what God is saying to me. The 12 sent to scope out the Promsied Land (even Caleb at this point) fail to discern God’s call, God’s presence, God’s voice. How often do we observe a kairos (a God-moment) and breeze right by it? How often do we begin to follow a call from God, only to abandon our call to listen and to know that God is still with us, even when that doesn’t seem true? We all end up wandering. We all end up needing a time of repentance and forgiveness. This post today is not about making you feel guilty, but a reminder that God is always ready to hear your plea for grace and mercy and forgiveness. Today. Now. As a baptized believer, I’m made new everyday…by the gift of the Holy Spirit, and I’m reminded of this by my fellow believers in Christ. Do you have someone you are journeying with? Someone to help you pause, reflect, listen? Do you have someone who hears your plea for grace and mercy? I pray you find such a person of peace today. I pray God gets your attention and shows you a peace that surpasses all understanding this day. P (Prayer): Lord, may you send your angels to guide us to your path. May they open our ears to your voice this day…a voice of grace and mercy. Amen. This entry was posted in Digging Daily and tagged Grace, Journey, kairos, mercy, Peace, Promised, Trust. Bookmark the permalink.